8 compartments for safe storage of miniatures or game components. Most of your Descent collection is well stowed away, small and large miniatures organized in the foam trays. The map tiles are in their mats as well. Now you need more space for monsters or medium sized lieutenants? Maybe a few compartments for the small game cards or tokens? 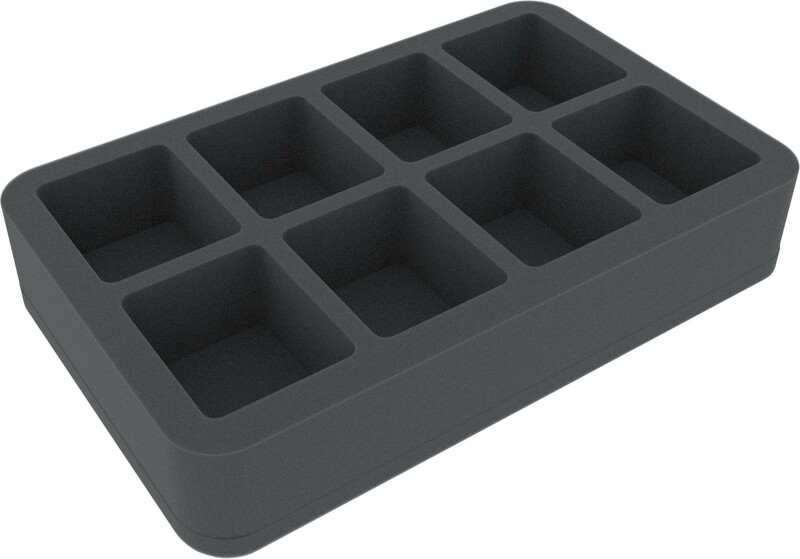 Then this half-size foam tray should be the right one for you. It is divided into 8 compartments measuring 68 x 55 x 40 mm. These can be equipped with medium-sized figures, or you can use them for game components. 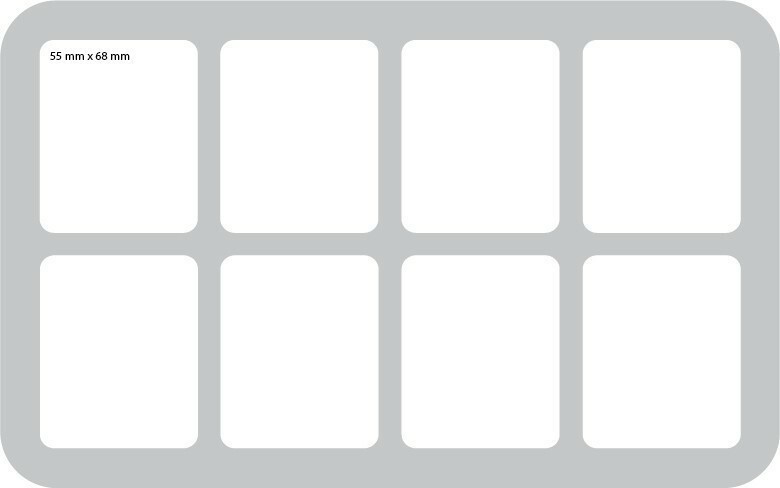 The dimensions are ideal for sorting small cards, such as class, condition, relic or shop item cards. However you fill the compartments, its contents are safe from damage and staining. A 10 mm thick base protects miniatures or components from below. This sums the mat up to a total height of 50 mm. 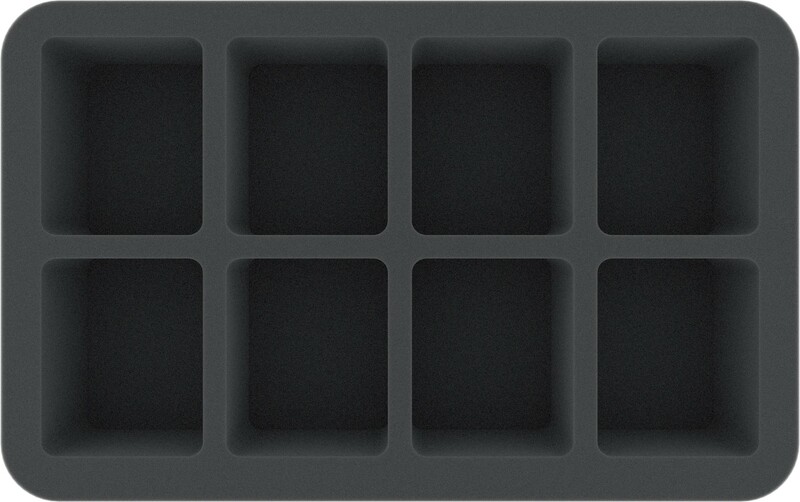 Like all other Feldherr Half-Size foam trays, these can also be combined with other Feldherr products. Thanks to its standardized dimensions, it fits in all of our storage and transport items, such as magnetic boxes, MAXI bags or hard cases.